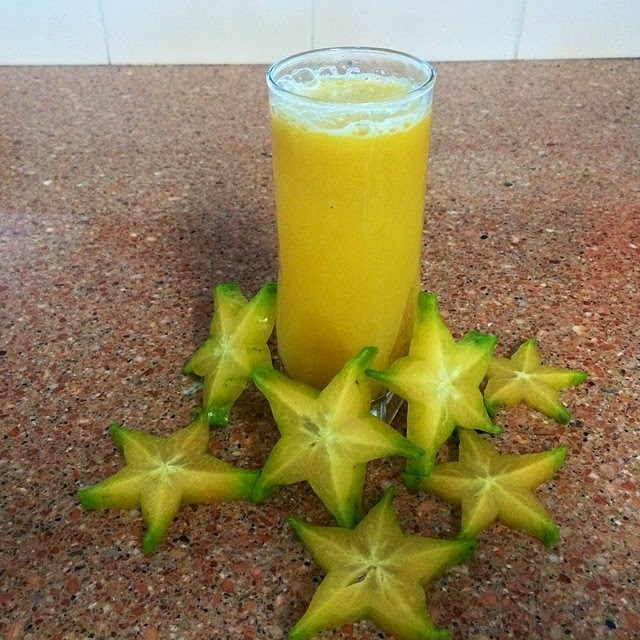 Freshly juiced Carambola, perfect way to use this heavy cropping subtropical fruit tree. Adding a little ginger makes it even more delicious. 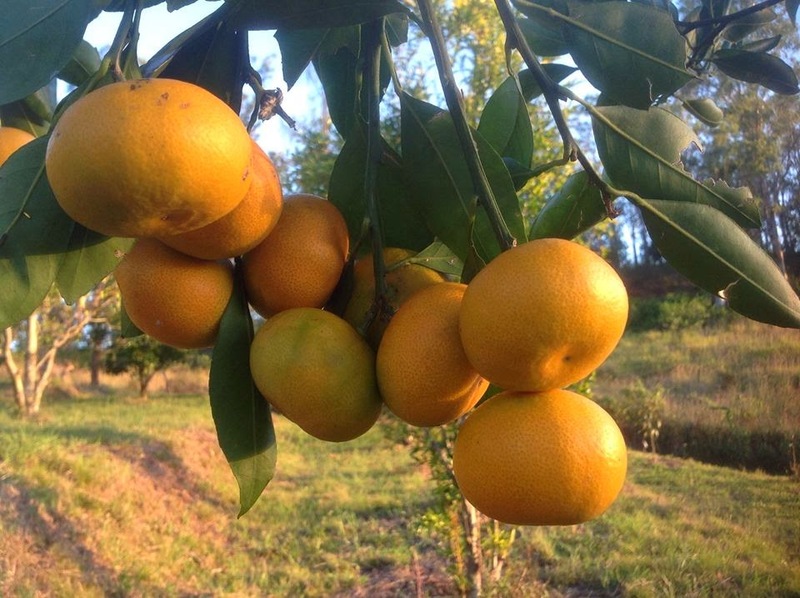 Kicking off the citrus season is the Okitsu Wase mandarin. My tree is loaded with fruit this year despite the lack of rain. First pick is mid march, after all with a crop like this I need to thin out the fruit a little. Autumn tropical harvest - look at all the gorgeous fruits we are picking at the moment. What are you harvesting from your backyard? Here is what an entire jakfruit is reduced to after a weekend in the food drier. Sweet golden treats. What did you discover in your garden today? We dissected a jakfruit yesterday and put most of it in the food drier and the rest in the freezer. We are now split as to which tastes better. The dried arils are super sweet and full of flavour, while frozen they are a lovely chilled chewy snack. We even boiled some seeds which taste like a cross between Bunya nut tree and broad beans. 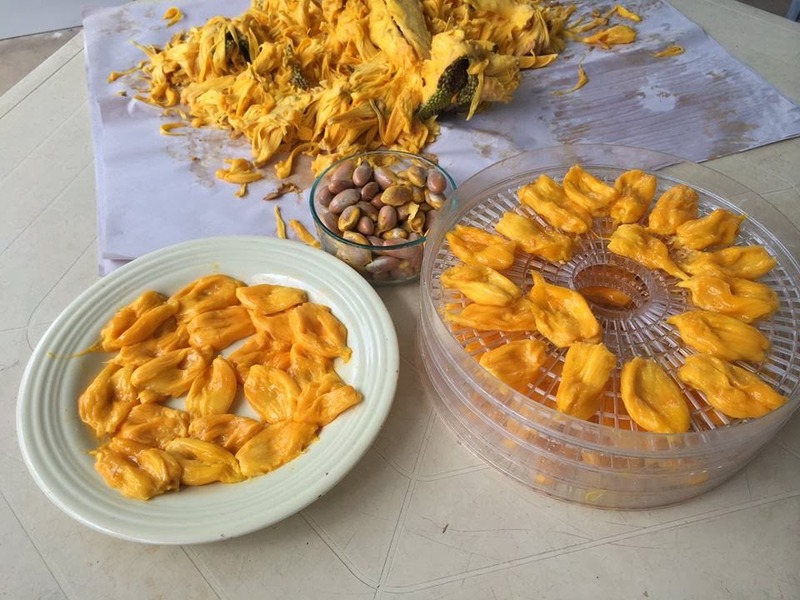 Jakfruit are the ideal fruit for drying as the fruit is too big to eat in one go and is the perfect amount to fill the drier. Not to mention they are absolutely delicious. 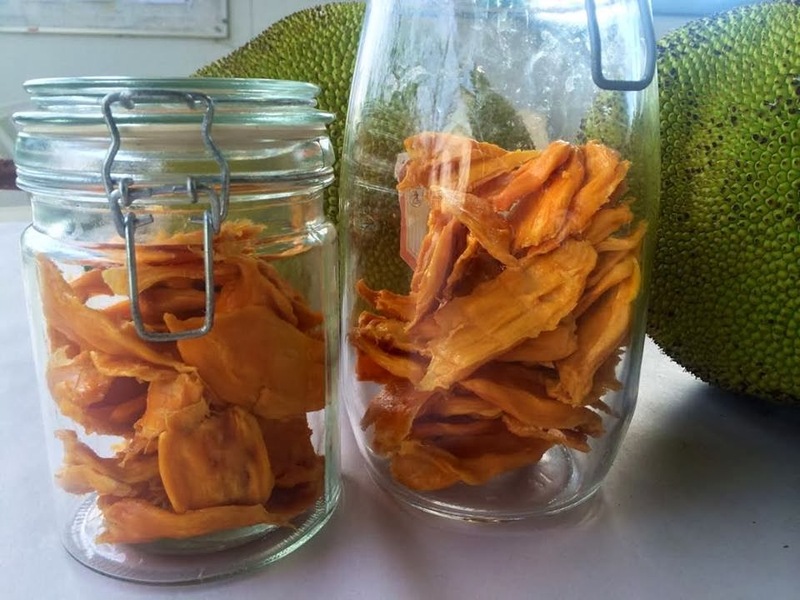 The soft jakfruits are the best ones for drying. 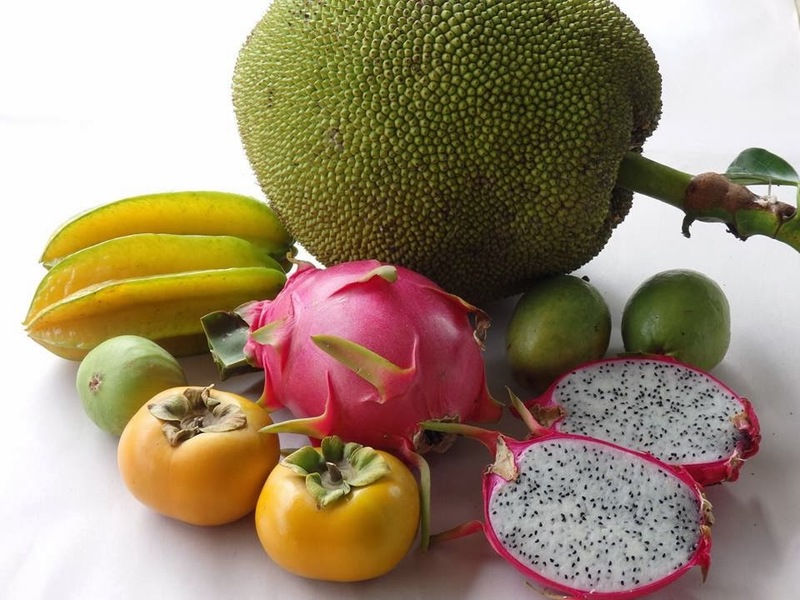 How do you like to eat jakfruit? Please share with us. Here is a fantastic news story on the Pomelo Tree or often spelt Pummelo Tree. 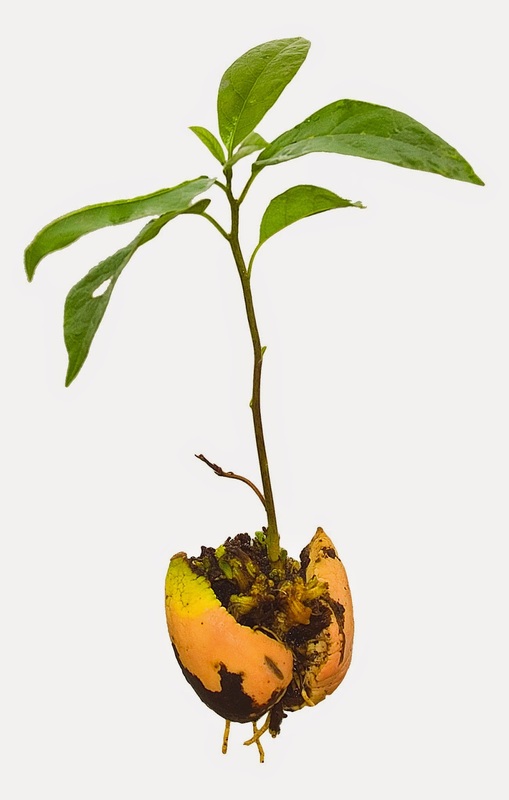 You can buy a few different varieties from Daleys Fruit Trees such as the Dwarf Pumello Nam Roi variety. 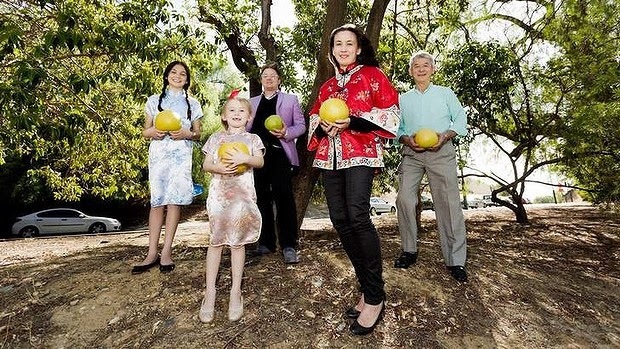 'My great-grandparents, Chinese market gardeners, were once sent a suitcase full of packages from family in Toi Shan, China, and it is believed that the first pomelo seeds were in that suitcase,'' says Anita Jack, head of the Golden Dragon Museum in Bendigo. 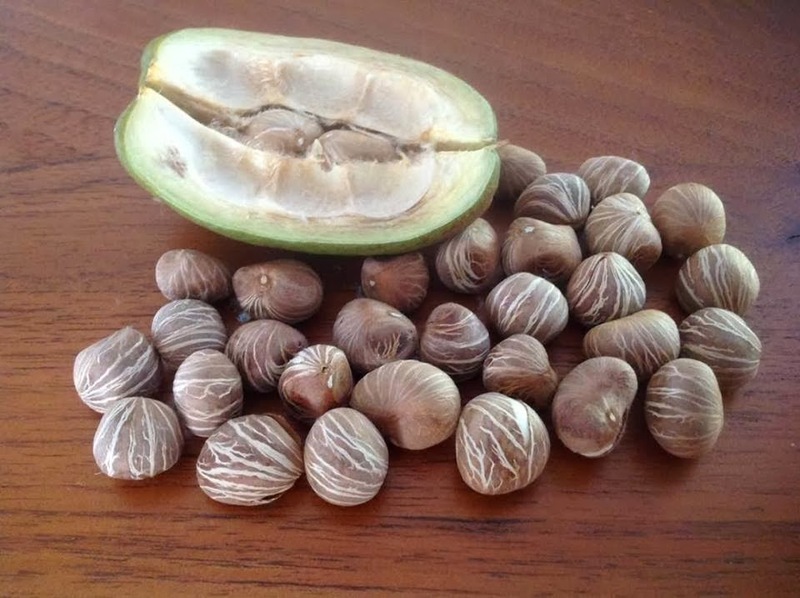 Malabar Chestnuts are dropping their nuts, the pods swell until they burst when they are ripe. They nuts make a tasty snack as they are, tasting a little like a mix between raw cashews and green peas. 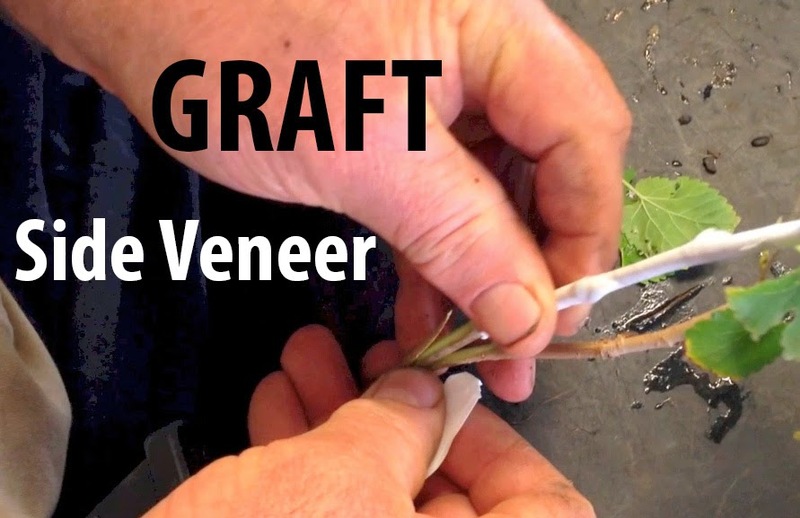 They can be roasted or sprouted and added to stir fries. 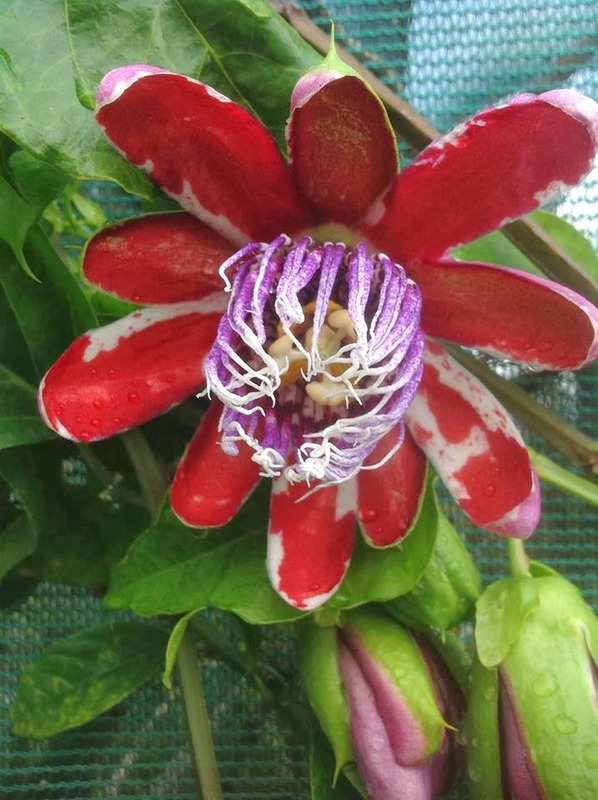 The tree is a lovely plant with a fat trunk that shows their relationship to Boabs and stunning large shaving brush like flowers. 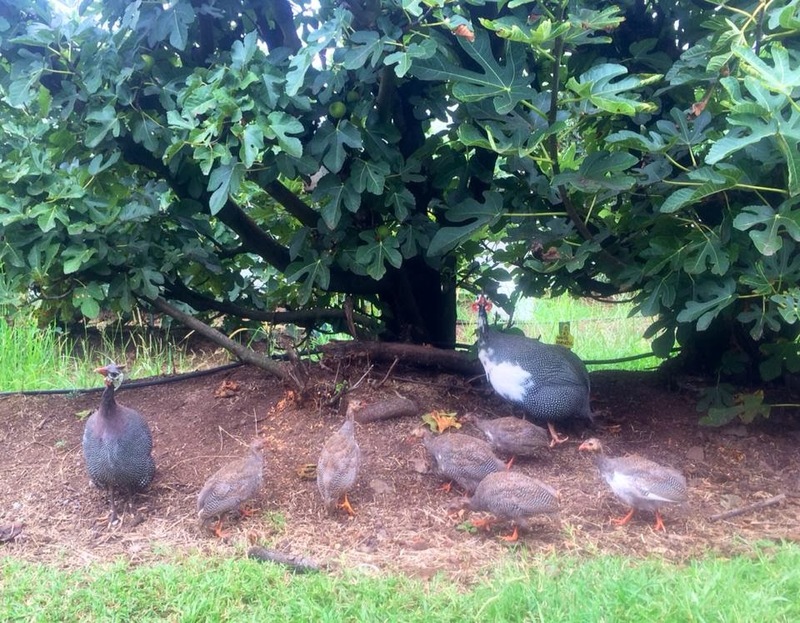 Our Guinea Fowl family has been a positive addition to our Exclusion Orchard environment. All 7 chicks were hatched in the orchard 6 weeks ago and have been self sufficient by eating any bugs, weeds, fallen fruit etc. So far they don't seem to eat any fruit off the trees. Has anyone had any problems with them in their orchard?